You can export Themer layouts built with Beaver Themer, either the entire set or selected Themer layouts. This is done using Tools > Export, as shown in the following screenshot. The procedure is the same as for exporting Page Builder layout templates. 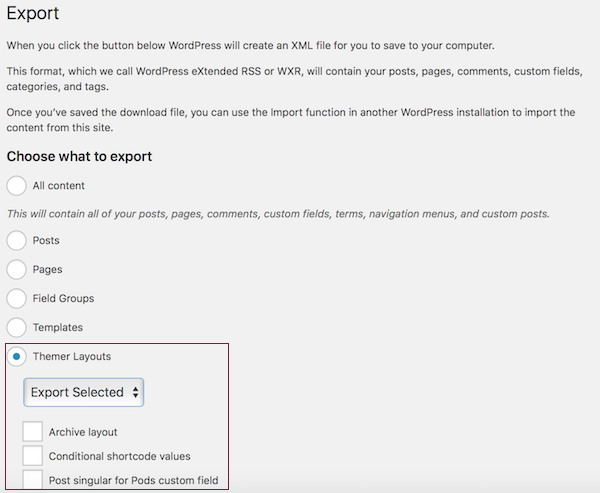 See the article about exporting layout templates to get more details about how to export.